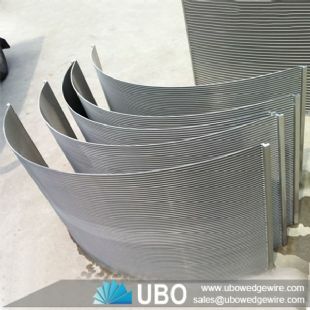 Sieve bend screens are also known as: run down screen, side hill screen, DSM screen, parabolic screen, wedge wire curve screen, gravity screen. It is popular in media recovery or trash removal, and offer the benefits of high capacity. The screening ability of the screen is determined by its percentage open area. 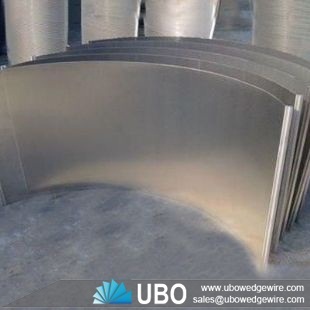 Made from Vee-Wire screens, the 120° Sieve Bend Screen can provide up to 50 percent more open area with a narrower wire profile. 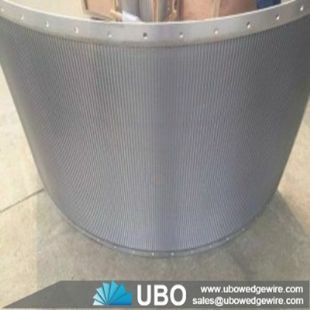 UBO's 120° sieve bend screens is designed for applications in both static and vibratory assemblies. It is perfect in corn milling. It is widely used in Food & Beverage, Pulp & Paper,etc.